Via Human Rights Watch – (Brussels) – Turkish security forces have routinely intercepted hundreds, and at times thousands, of asylum seekers at the Turkey-Syria border since at least December 2017 and summarily deported them to the war-ravaged Idlib governorate in Syria, Human Rights Watch said today. Turkish border guards have shot at asylum seekers trying to enter Turkey using smuggling routes, killing and wounding them, and have deported to Idlib newly arrived Syrians in the Turkish town of Antakya, 30 kilometers from the Syrian border.The Russian-Syrian military alliance’s December offensive against anti-government forces in Idlib has displaced almost 400,000 civilians, according to the UN. They have joined more than 1.3 million others trapped inside Idlib in insecure, overcrowded camps, and in makeshift camps in fields near the closed Turkish border where they are under constant threat of attack and lack food, clean water, shelter, health care, and aid. At a March 26, 2018 summit meeting in Bulgaria, the European Union should press Turkey to allow Syrian civilians fleeing fighting to seek protection inside Turkey and pledge increased aid to Syrian refugees in Turkey and the region. Via InfoMigrants – The Turkish government says it will set up camps for 170,000 displaced people within Syria ahead of an influx of refugees from the Syrian region of Afrin. Via Diken (Link in Turkish) – Independent’s Middle East correspondent Robert Fisk went to Syria’s Afrin region, where the ‘Operation of the Olive Tree’ was carried out. Fisk wrote their impressions of the civilian population: “Turkey’s invasion of northern Syria appeared the real victims – migrants, babies, women and children”. Via ABC News – Desperate Syrian refugees fleeing heightened violence in the north-west of Syria are being shot at and beaten at the Turkish border as they try to flee, Human Rights Watch says. Via euronews (Link in Turkish) – Due to intense bombardment by the Syrian army backed by Iranian and Russian forces in the Syrian cities Hama and Idlib against ISIS, tens of thousands of people abandoned their houses and reached the Turkish border since November 2017. Via T24 (Link in Turkish) – It is stated that the wall built on the Iranian border will be completed in the first 6 months of 2018. 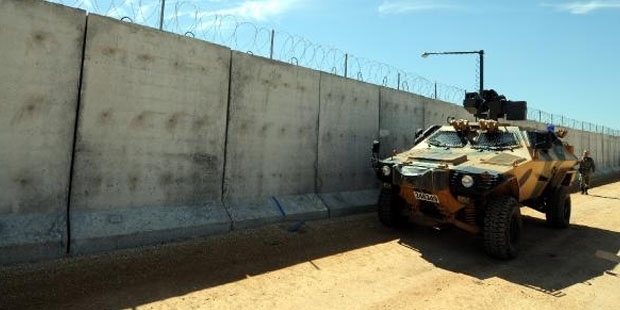 The Prime Ministry Housing Development Administration (TOKİ), which has built the third longest wall in the world on the Syrian border, has completed half of the 144-kilometer wall which is being built on the Turkish-Iranian border. TOKİ Chairman Ergün Turan said that the 57,152 kilometer part of the wall was built on the border of Ağrı with the remaining 86,848 kilometers in Iğdır. Turan said that the border wall will be completed in the first 6 months of 2018. Via Hürriyet Daily News- A total of 1,632 undocumented migrants were detained across Turkey on Jan. 2, according to military figures. Border troops detained a total of 1,556 migrants from Syria trying to illegally cross into Turkey, as well as five from Greece and two from Iran, according to the Turkish General Staff website. Turkey has been a main route for refugees trying to cross into Europe since the Syrian civil war begun. Sixty-four migrants were also caught while trying to illegally enter Greece from Turkey, while five others were held at the Syrian border attempting to enter Syria. Via Anadolu Agency* – At least 98 undocumented migrants were held by security forces across Turkey on Wednesday, according to officials. Via Hurriyet Daily News – At least 547 undocumented migrants have been caught trying to reach Europe or enter Turkey illegally across the country, security officials said on Nov. 16.